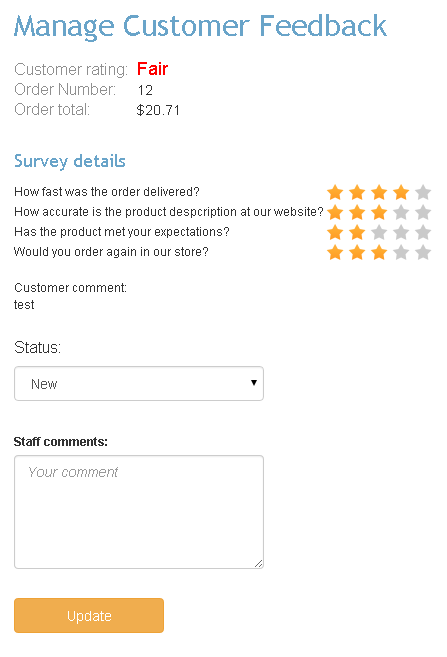 Know how your customers rate your store and service, collect customer reviews and learn what they suggest. React to every piece of feedback. Do not let small problems grow and become a risk for your store reputation. Every time an order is completed, the buyer gets an email with a request to rate your store and service right from their email inbox. You can specify the order shipping status in which the request to rate your store should be sent to the buyer on the module settings page. Customers who do not give the highest rating are offered to fill up a short survey and leave a comment to clarify why they are dissatisfied. You may add, sort and delete survey questions to adapt the survey for your business. 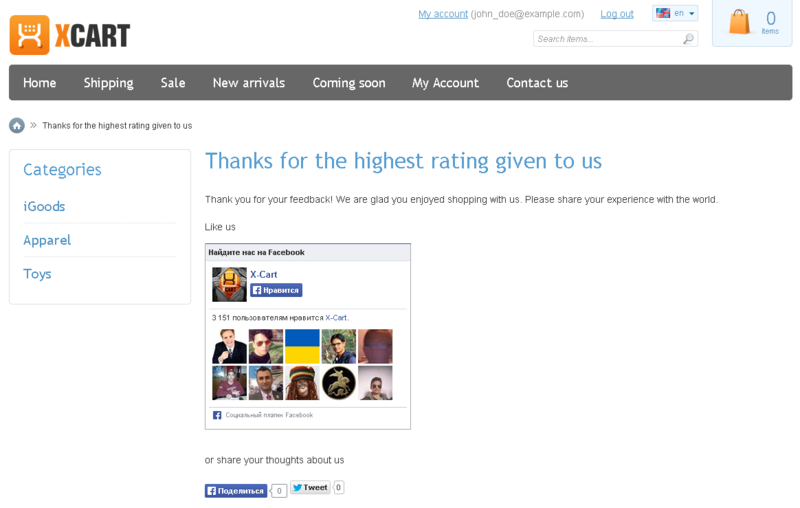 Satisfied customers are offered to share their positive experience in social networks. 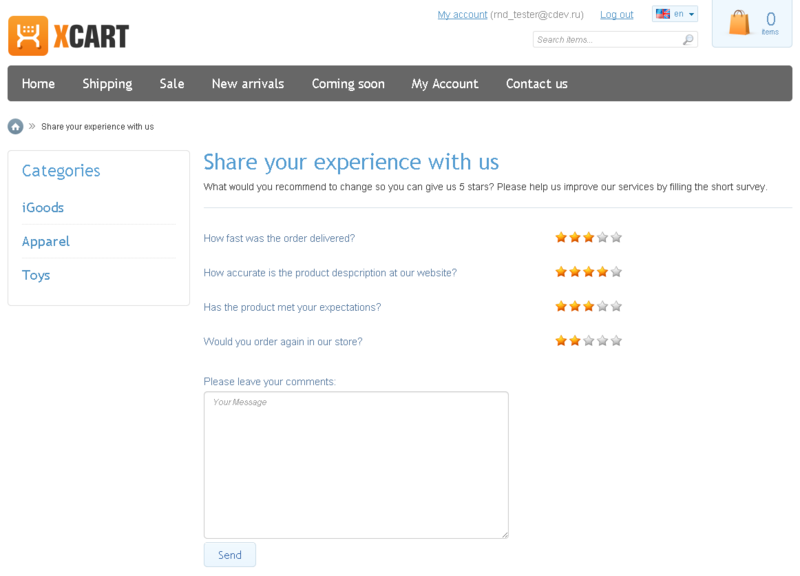 There is a page in the admin back end of your store providing comprehensive information about the feedback collected. This page allows you to change the status of and leave comments for any feedback entry that is stored. Moreover, the store admin is notified about every new instance of feedback by email to make sure all feedback is processed in a timely manner.